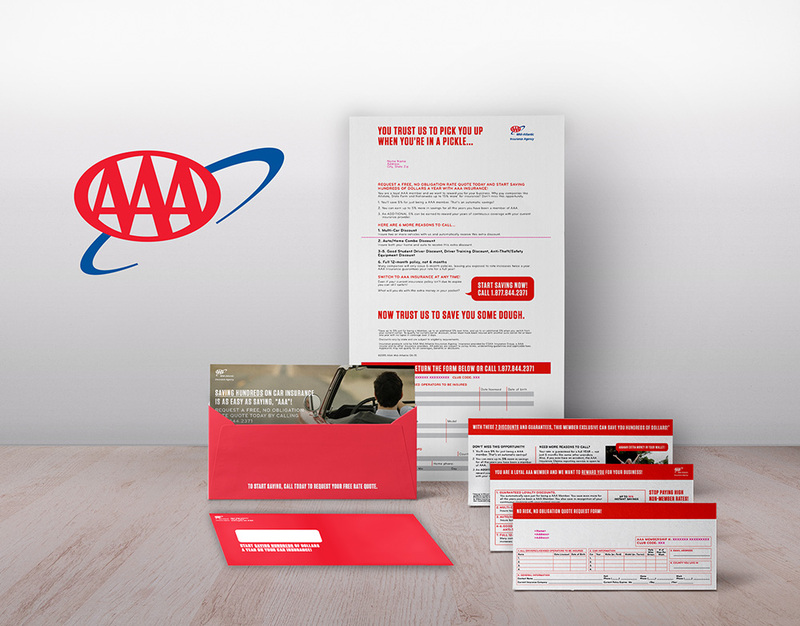 AAA is well known for their travel and roadside emergency services, but they also offer a variety of other products including auto insurance. 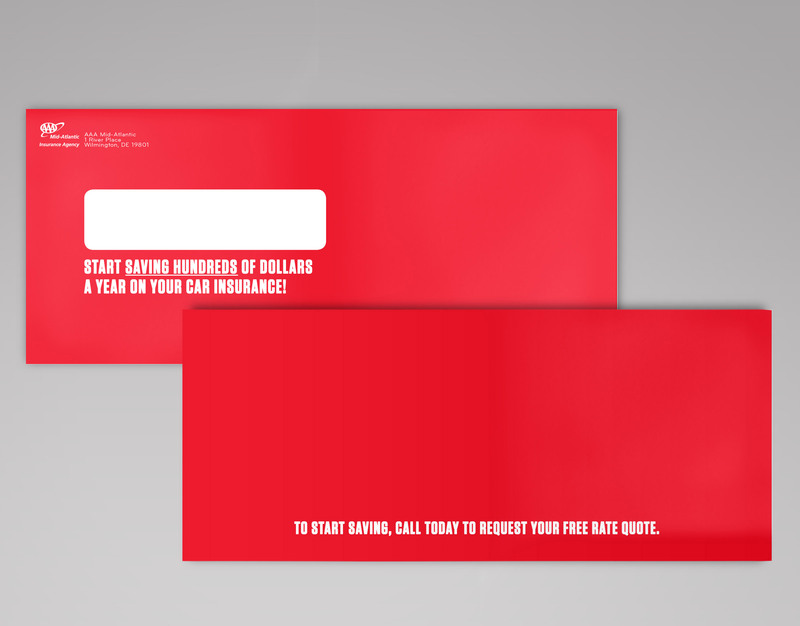 AAA Mid-Atlantic needed to shake up their marketing campaign for auto insurance to drive traffic to their call center and increase consumer conversion. Their goal was to beat previous efforts against their nine-year-old control kit. 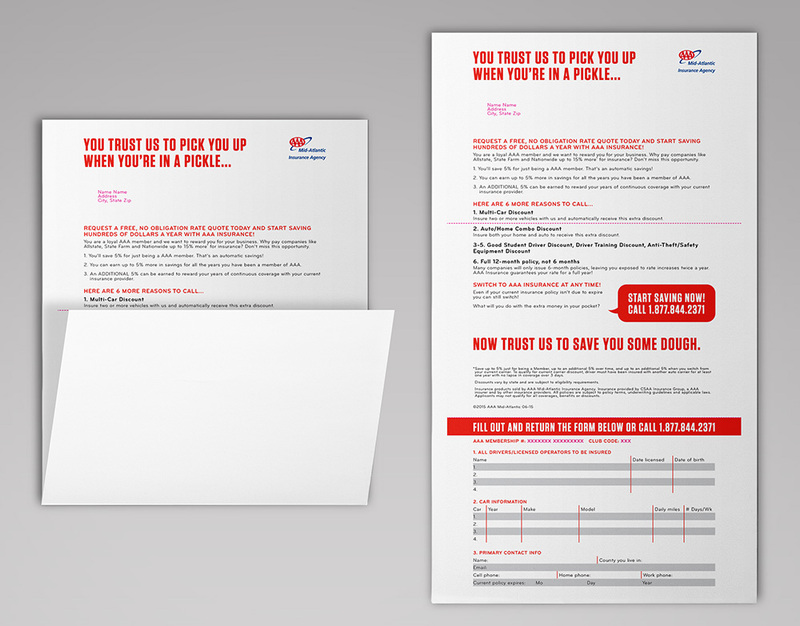 Our strategy was to reduce the amount of copy and give the call to action a greater chance of being noticed. 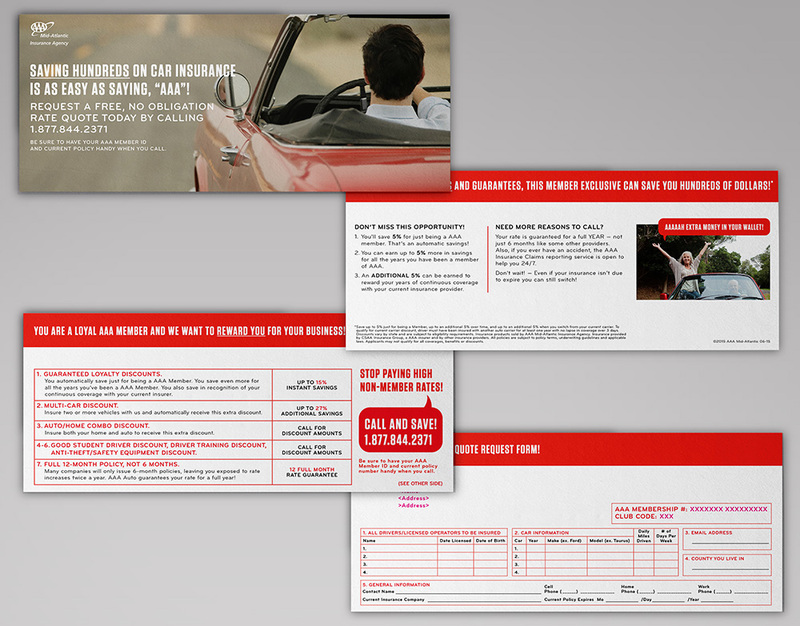 Witty, conversational headlines drew the consumer in and encouraged them to pick up the phone. Read our in-depth case study to discover what the team learned after the trial campaign.